Back in the late 1980's, Dave and I were in the States recruiting for Malachi Ministries at Trinity College (now Trinity International University) in Deerfield, IL. I remember so clearly meeting a young couple after Dave had spoken in a youth ministry class that afternoon. They were vibrant in their faith, eager to serve the Lord, and wanting to know about the possibility of coming to Germany to serve on our team. In 1990, Dan and Barb Evans did move to Germany to serve with us in Malachi/Cadence International. 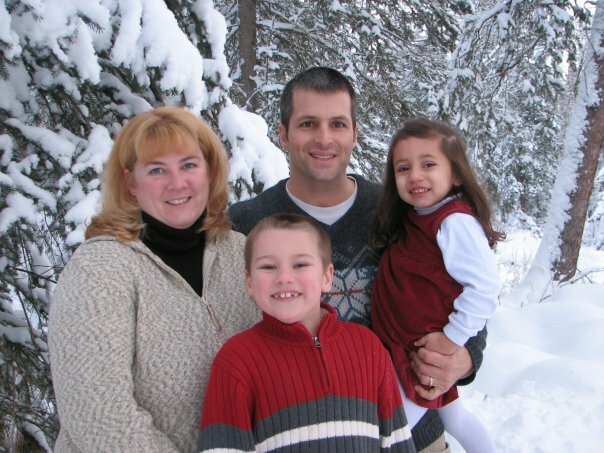 As the years went by, they continued to serve faithfully in youth ministry, eventually moving to Alaska in 2007 to open a hospitality house, still missionaries with Cadence. Such faithful servants! Nineteen months ago, Barb was diagnosed with an aggressive brain cancer. As you can imagine, life completely changed for them at that point, given the gravity of the diagnosis. However, they stayed in Alaska, ministering out of the hospitality house as they were able, staying faithful and true to their Savior each step of the way. Last night Barb's life here on earth ended. She went home to be with her Savior to start her new forever life. I haven't seen Dan and Barb in years, but have followed their ministry, lives and this most recent painful journey of cancer. My heart is heavy today as I think of Dan and their two children, Caleb and Audrey who must absorb the weight of this sadness today, and for days, months and years to come. Though most of you don't know this precious family, will you pray for them today as you read this? There is no easy way through this for them, but we know the Lord has been, and will be, faithful to them. Thanks for this Connie. I will join you in praying for Dan, Caleb, and Audrey.